Large industrial structures, rusting and decaying back to earth. My work captures nature’s battle with technology which creates an entirely new landscape. The other pieces include the inside of a computer, architecturally mimicking a miniature city. 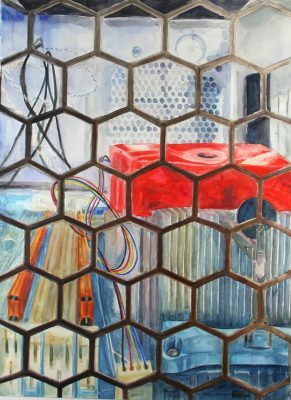 The motherboard’s circuitry and capacitors are imagined in my paintings as a futuristic landscape. 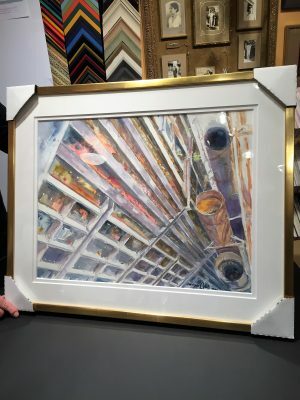 Watercolor viewing inside of a computer tower. 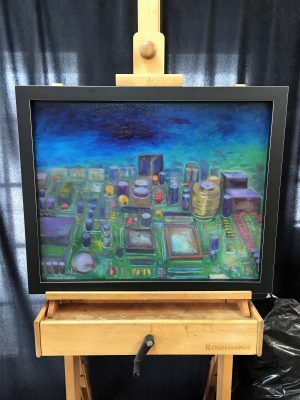 Oil painting of an electronic circuit board. 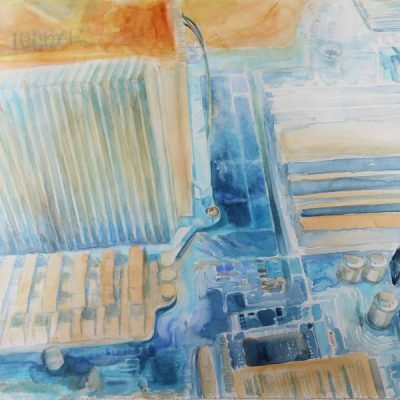 Watercolor of a motherboard in a computer.